Terrific book! Loved it. Lyrical. Captivating. Love story. Sad parts. Retelling of Classical stories before and during the Trojan War. Timely in that it describes a great love between two Greek princes, not unusual for the time period, but now on contemporary minds with the legalization of gay marriage. Patroclus is born small, weak, and a disappointment to his father, a king. Achilles is the golden boy, son of the nymph Thetis and another king. 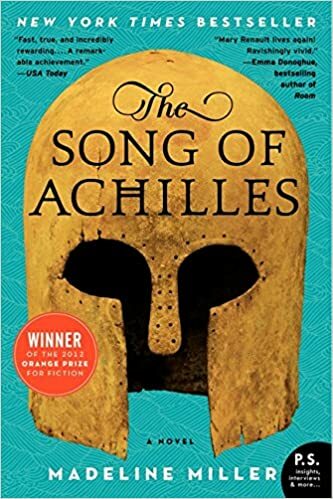 Patroclus is sent to be fostered at Peleus’ court where Achilles trains separately to become the greatest of Greek warriors. “The next summer we turned thirteen, him first, and then me. Our bodies began to stretch, pulling at our joints until they were aching and weak. In Peleaus’ shining bronze mirror, I almost did not recognize myself — lanky and gaunt, stork legs and sharpening chin. Achilles was taller still, seeming to tower above me. Eventually we would be of a height, but he came to his maturity sooner, with a startling speed, primed perhaps by the divinity in his blood.” (p. 58). They are trained as young men by the centaur Chiron, high on the side of a mountain in a crystal cave. Later, they join the war to retrieve Helen from Paris and the Trojans. “I ran, armor banging. My breath came thickly, and the ground shook with the pounding of feet, a rumbling roar growing louder. The dust kicked up by the charge was almost blinding. I could not see Achilles. I could not see the man beside me. I could do nothing but grip my shield and run.” (p. 237). Winner of the 2012 Orange Prize for Fiction. If you like Game of Thrones or reading Greek mythology, you will enjoy this book. 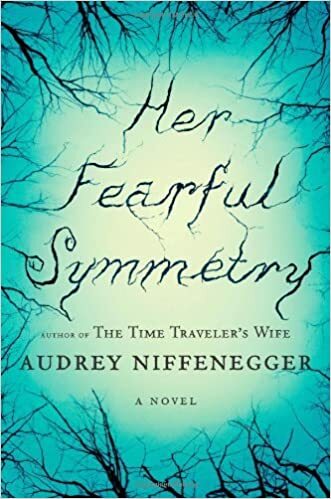 Speaking of symmetry, at one point, I wondered in Niffeneger’s name was an anagram…Reggeneiffen? Too much Scrabble, I guess. I love old cemeteries. I could not believe that I spent so much time in London and never heard of it. It will be on my definite list for my next visit there. Back to the book, a set of twenty year old twins, still living at home, inherit an apartment from their aunt in London. The property has a gate from the garden into Highgate Cemetery. The conditions of the will state that the twins will need to live there for one year. After that they can sell it or do whatever else they want. They are not to let their parents enter the premises. There is plenty of money to go with the apartment so they don’t need to work. One twin Julia is very outgoing and adventurous and immediately wants to move there. The other twin Valentina is more reticent and scared to leave home. They ask their mother about her sister and why they have not had contact with her. There is obviously some deep family secret concerned with their relationship. They also were twins. They move into Elspeth’s apartment filled with all kinds of awesome antiques, vintage clothing, and adopt a little starving kitten they find. The more introverted sister is really into fashion design so loves the vintage clothes. The other sister takes her on long adventures on the Tube through London. Lots of window shopping, trying on Philip Treacy hats, and the like. They start out dressing exactly alike, always doing everything together, but eventually the quieter one starts trying to carve out her own life. The two other major characters are the upstairs and downstairs neighbors. The upstairs neighbor is Martin, a man with OCD, hardly able to leave his apartment. He translates arcane languages for the British Museum and creates crossword puzzles for the newspaper. After a flood comes through the bedroom ceiling due to his washing the same spot over and over, Julia goes up to talk to him and eventually befriends him. Robert was Elspeth’s younger lover. He is a volunteer at Highgate Cemetery. 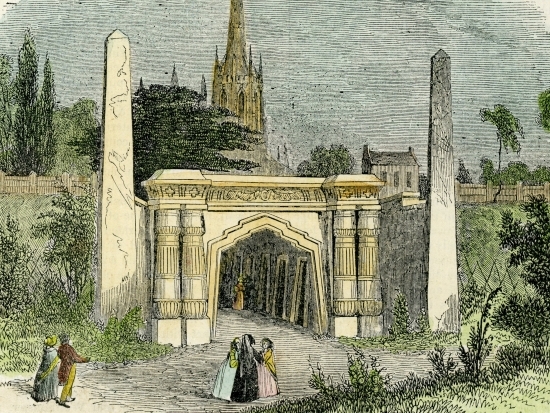 He is writing a Ph.D. thesis on the famous people buried at Highgate. “On these nights in the cemetery Robert stood in front of Elspeth’s grave, or sat on its solitary step with his back against the uncomfortable grillwork. It did not bother him when he stood by the Rossetti grave and couldn’t feel the presence of Lizzie or Christina, but he found it disturbing to visit Elspeth and find that she was not “at home” to him.” (p. 55). It is a love story on several levels and a ghost story. I enjoyed it and wonder if there will be a sequel. This was my first book about the life and thoughts of a high school age transgender teen. I was interested to read the author’s notes at the end. “To my cisgender readers — which is to say, to those of you who are not trans: Thank you for reading this. Thank you for being interested. I’m nervous about what you might think of this book, though maybe not in the way you might think I am. I am, of course, anxious that people might not like it, but even more than that I’m worried that you might take Amanda’s story as gospel, especially since it comes from a trans woman. This prospect terrifies me, actually! I am a storyteller, not an educator. I have taken liberties with what I know reality to be. I have fictionalized things to make them work in my story. 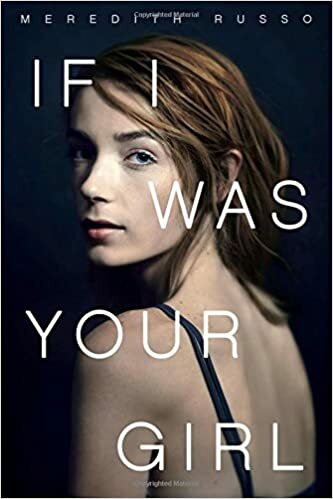 I have, in some ways, cleaved to stereotypes and even bent rules to make Amanda’s trans-ness as unchallenging to normative assumptions as possible.” (275-276). I was very touched by the story. Most teens are trying personas on, trying to figure out who they will become. Most teens are sensitive to bullying, opinion of their peers, and the fear of not fitting in with some social group. Think how difficult it would be to change gender and physical appearance in the midst of this all. Some years ago, I was a teacher at a small Berkeley private school. A young man I knew as a freshman, hiking together at Yosemite and discussing cars, returned the next year to school dressing as a girl and asking to be called by a girl’s name. This caused quite a ruckus at the school. We wanted to be politically correct and sensitive. We also only had one bathroom for female staff and female students to share. A number of women didn’t feel comfortable having him/her use our bathroom. We finally settled on giving him/her a key to his/her own single stall bathroom. In the beginning, some of the girls seemed to think the person was changing assignment just to be able to more easily hit on girls. As time went on, and the person stuck with their new gender, despite intense disapproval from the father, students became more accepting. 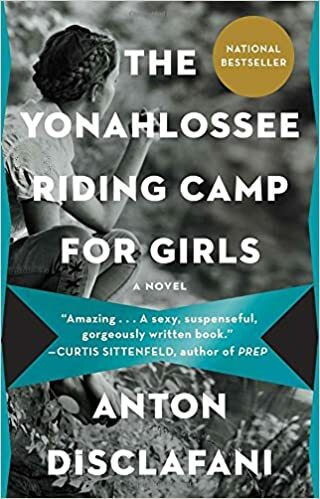 The book emphasized to me the fear of Amanda, being attracted to a boy who seems to be attracted to her, but fearful that if she reveals her secret he will leave her or become violent. I had a friend comment, “How many of your students will pick this book to read?” I hope many will read it. Even if somewhat simplified from what many trans people experience, it provided interesting insights and will make me more interesting in talking with trans people. As I went on winter break from my high school library, I took home a stack of new books different from my usual reading tastes. 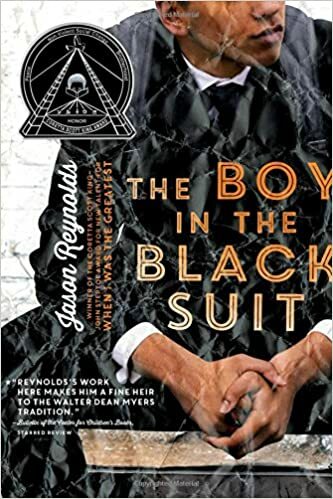 I selected this book as the cover looked like a cross between a vampire book and a “Pretty Little Liars” type of book. As suspected from the title, it is a takeoff on the Faust theme of selling one’s soul to the Devil in return for some kind of advantage that doesn’t turn out quite as good as you imagined. I also was interested that the book was written by adult brother and sister reflecting on intense competition at school during their high school years. My current high school has a 98% graduation rate and is the scene of intense studying and competition to gain admission to top colleges. The time is present day. Children are enticed to leave their homes to gain some kind of advantage in a new “family.” They lose most memory of their earlier lives. Their “governess” is an exceedingly beautiful, tall, blonde woman. Their gifts include an ability to stop and replay time, athletic prowess, high intelligence, head turning attractiveness, but their is always something off. For example, the beauty attracts everyone’s attention, but when they get close to her, she gives off a putrescent odor. If they can ignore that long enough the person becomes “charmed” by her and finds it difficult to disengage. As time goes on, the young people start to regain some of their previous memories. They begin to see that the advantages conferred by their governess are not all for which they originally were willing to give their souls. Is it too late to escape her influence? The story is laid in the South and moves to the Smokey Mountains. 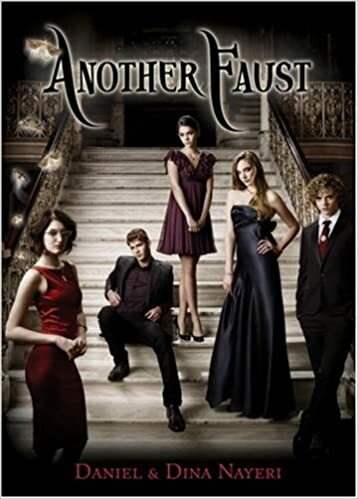 The young woman character is raised in an isolated setting where her closest companions are are brother and a male cousin. She begins an intimate relationship with her cousin and her brother attacks the cousin. The cousin is badly injured and she is sent away to an exclusive camp/school for girls in the Smokey Mountains. At first she thinks she is only there for the summer. She meets all kinds of girls there for different reasons as the Depression gains momentum. She does love horses and that is one of the things that keeps her going during her enforced stay at the camp. This is a moving film on the fight for Women’s Suffrage in the United States. Iron Jawed Angels stars Hilary Swank, Julia Ormond, Angelica Huston, and Frances O’Connor. Just after the Presidential Election, it is being shown in classes at our high school. We have had the right for women to vote since 1920 and it was a long, bitter fight getting to that point. We owe a debt to those women who fought for equality under the government. Love the line where they are talking about the President with reporters. One male reporter says “he…or she.” Alice Paul (Hilary Swank) says something to the effect of “Wonderful, give that man a cookie.” When the government votes you see a man receiving a telegram from his mother. He switches his vote at the last minute in favor of women’s right to vote. Inspiring film. Parental Warning: A few scenes might be hard on children younger than high school (force feeding in the jail, etc. ).